FATA is home to approximately 10 million people. These people may be called ‘Pakistani’ citizens, but the reality is – they are not. Even after 67 years of independence, despite being a strategic part of Pakistan, the constitution of the country simply does not apply here. What is worse is that the laws that do, in fact, apply are a set of colonial laws formulated and enacted by the British more than a century ago! Some of these date all the way back to 1893, when the Durand Line was drawn by colonialists. A single visit to Fata will demonstrate how these archaic laws have affected these tribal areas; it is like they have purposely been cut off from the modern world. Man and beast share the same pond to drink water from and infrastructure is non-existent. Fata, unfortunately, is a place where human rights become extinct and your right to be or feel ‘human’ is gauged by what the FCR deems fit. 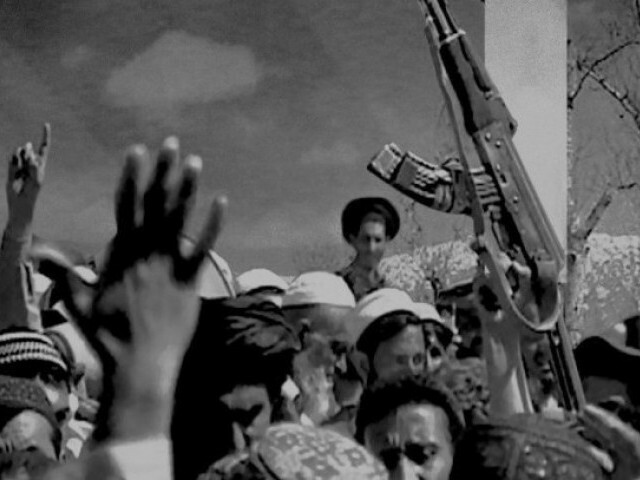 The FCR, or the Frontier Crimes Regulation, was introduced by the British after the second Anglo-Sikh war and was imposed on the people of Fata to ‘subdue’ the aggressive Pukhtun and Baloch who were fighting against British colonialists. On August 24, 2014, Pakistan’s security forces and the political administration launched a search operation in Khyber Agency and arrested 85 tribesmen under the Collective Responsibility clause of the FCR. Collective responsibility in this case essentially means that while it is being determined whether or not an individual has committed a crime, the family of the accused and sometimes the entire tribe is taken into custody. They are then meant to remain in an internment centre until the ‘guilty’ person confesses to having committed the crime. This is not the first time that an arrest of such a large magnitude has taken place in Fata; there are thousands of tribesmen who are currently detained under this law. These tribesmen include minors and old people as well. Although the Pakistan Peoples Party’s government did make some amendments to this law in 2011, nothing much has been done about it since. This law was replaced in the erstwhile-NWFP and Balochistan after the advent of the Constitution of Pakistan; however, Fata, for some reason, is still governed by the FCR. Well, it could be one of two reasons, the first being that the people of Fata are not truly considered citizens of Pakistan or, they are considered citizens of Pakistan but just not ‘human’ enough to have guaranteed constitutional rights apply to them. Under the FCR, the political representative (deputy commissioner) – a bureaucrat – is the administrator, prosecutor and judge, all in one. He wields utmost authority. 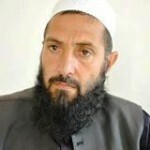 This representative arrests tribesmen under the pretence of this law, then makes his own council of elders (a jirga composed of two or three members), on the recommendation of which he imposes his verdict. If a person belonging to a particular tribe commits a crime, his whole tribe will come under scrutiny and the representative has the power to arrest all who either belong to that tribe, or even those who try to talk to him and settle the matter. The injustice is rampant. This representative has the power to put an individual in preventive detention if he is suspected of any criminal intention or act, without bail. Such individuals can be detained for up to three years without any trial or hearing and can be held for the same charges again. Even his family can be detained for an unspecified amount of time without due cause. This law is also often used to pressurise individuals into doing ones biding. Families can be banished from their homes under this law. A few days back, I met a 10-year-old boy who was going to meet his father who had been detained under the FCR. The child seemed like a bright kid. When I asked him why his father was in jail, he explained that he had had a bit of a conflict with the village malik (elder) and the elder reported him to the political representative for a false crime. The representative heard the entire matter, and since the malik was considered a respectful elder, the representative jailed his father under the FCR. Upon further explanation, the child revealed that he was the only male left in his family after his father, and that he did not know when his father might be released. Seeing that this boy was now to shoulder the responsibility of his entire family angered me, and the blame rests solely upon the archaic legal system prevalent here. Through the FCR, political representatives or tribal elders have a free pass to accuse, and play god, with any tribesman or his family. How, then, is this piece of law constitutional? How, then, can such a system still be acceptable for a group of people who belong to a sovereign country? Another rule under the FCR is that individuals are banned from making a hujra (community centre) without the prior permission of a political representative. Under Section 35 of the FCR, titled the ‘Naubati Chaukidari’ system, every tribe is responsible of the protection of their own territory, whether they like it or not. Therefore, if militants blow up a school or commit an act of terrorism, it is the tribesmen of that area who are held responsible and are detained by the commissioner. The tribesmen have to pay for the rebuilding of government property. Where is the government in all this? Absent. Currently, there are thousands of tribesmen detained under this law. They have been deemed guilty and this law punishes them for not securing their own territory. They are being punished because terror struck them, their families and their tribes, and they did nothing to prevent that from happening. But was the government or security forces of Pakistan held responsible? If then, after all that, the people of Fata can be called ‘terrorists’ or ‘militants’ aiming to destroy the secular fabric of Pakistan, or a breeding ground for militancy, then you are right, they should be detained, they should be kept under a law that disregards and blatantly negates any human rights guaranteed by the constitution. This law should be imposed on them with full force because they are guilty. They are guilty of crimes they never committed. Although there are courts in which the verdict of the political representative or commissioner might be appealed against; the divisional courts and the FATA Tribunal are both run by serving or retired bureaucrats, appealing to who is futile. Tribesmen can’t appeal to the high court or the Supreme Court because, well, they do not have the right to do so. And this brings us back to the question, are the people of Fata really considered citizens of Pakistan? And if they are, then why does that 10-year-old boy have to shoulder the burden of looking after an entire household, when he should be running around the playground of a school with your child? Why are so many fundamental rights not provided to the people of Fata? Why have they been deemed to deserve this despicable standard of living? The people of Fata, the tribesmen, have the right to elect their representatives but these representatives are just symbolic figures used to placate you and me when we question our parliament. They have no power or say in the way any piece of legislation is drafted. They cannot even initiate a bill in the assembly without prior permission from the President of Pakistan. 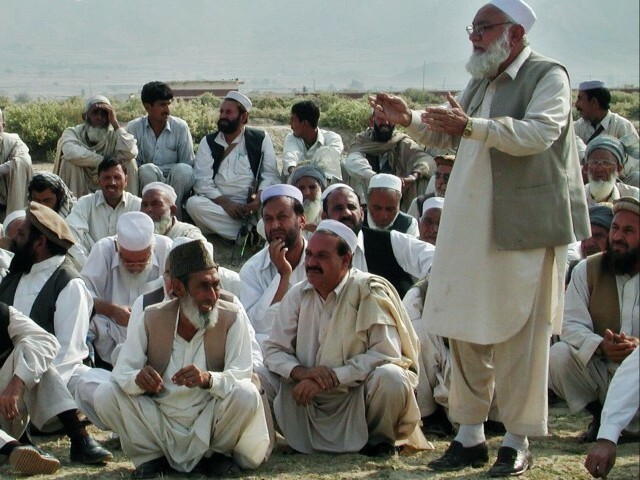 In the unique case of Fata, a tribal elder cannot even contest for governorship under the Pakistani constitution; Fata, officially, remains under the authority of the governor of Khyber-Pakhtunkhwa. In one instance, when Shaukatullah Khan, a tribesman, did manage to become governor K-P, the address on his ID card had to be changed from Peshawar to Bajaur as a prerequisite, just so he could become eligible for nominations. In the 21st century, as difficult as it may be to question ourselves, one has to ask, why has a law like the FCR been permitted to function in any part of the country? Why are we so adamant on creating divides like these in Pakistan? The FCR is a draconian law that deserves to become the ash heap of history. The people of Fata, the men, women and children, young and old, all deserve to live life the way every Pakistani strives to live it in an independent and free state. Then why hasn’t this law been repealed yet? This law, that has completely destroyed the tribal society, when will it finally be abolished? Why are the tribal people, who are patriotic citizens of Pakistan, who have sacrificed for Pakistan in 1948, 1965, and 1971 against India, who stopped Russia from entering into Pakistan during the Afghan war, treated as second citizen? Who will bring changes in their life and give them the same rights as any other Pakistani has? Will Imran Khan and Dr Tahirul Qadri raise their voices for these innocent tribals, who are in prison due to no crime of their own? Who are only detained because that are tribesmen by birth and whose forefathers laid their lives for the freedom and sovereignty of Pakistan? These people, who have fought so valiantly for the freedom of Pakistan, will their freedom be so brutally snatched away from them? Will no one come to Fata’s aid? More than 10 million people from FATA are treated as sub-human and non-citizen of the land of pure. Not only that the amry is pet ‘strategic’ assets have systematically eliminated almost all of the maliks/tribal leaders who, untill their murder by state supported thugs, were the modicum of harmony and law that prevailed in warring FATA tribes.